Features an open kitchen layout with a true wood-burning oven, Flamme Burger will provide diners with an innovative dining option featuring fresh, high-quality raw ingredients, classic cooking techniques and distinctive interior design bringing the features from the realm of fine dining to the world of quick-service in the new Fishers Depot at Nickelplate. 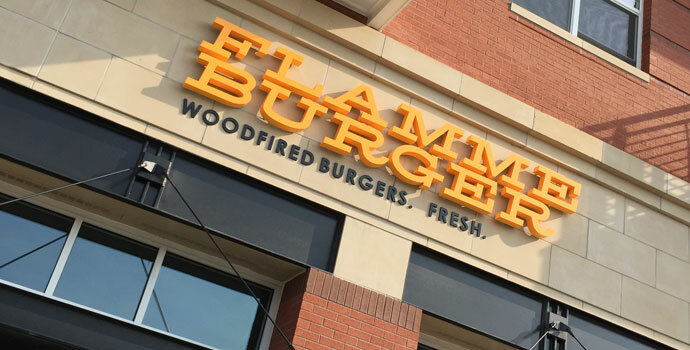 "I've been cooking since I was a kid by working in my uncle's kitchen creating our family's homemade Italian recipes," said Henri Najem, owner and operator of Flamme Burger. "I believe in using fresh, local ingredients and am excited to start the next chapter of my restaurateur career while also incorporating some of those traditional family recipes." With an emphasis on fresh, local ingredients, signature menu items include salads, fresh-cut fries, milkshakes and a variety of burgers such as traditional beef, fish and more in addition to local beers and wines.